Frontier Airlines announced Tuesday that it is bringing back its one-cent sale to nine destinations from Minneapolis St. Paul Airport. Including taxes, the one-way, nonstop flights are $39 to Raleigh Durham (RDU), Austin, Texas (AUS). Cleveland (CLE), Denver (DEN), Jacksonville, FL (JAX), Colorado Springs (COS), Trenton, NJ (TTN), and Charleston (CHS). Here's the fine print: Purchases must be made by Aug. 19. The sale price is valid for travel only on Tuesdays and Wednesdays. Fares are one-way and do not require a round trip purchase. Change fees of up to $99 apply, but tickets can be cancelled for a full refund within 24 hours. 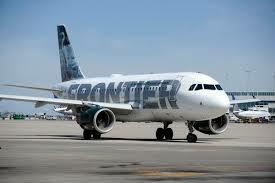 Similar to Spirit, Frontier is a budget airline that charges extra for checked bags and luggage in the overhead. Only bags placed under the seat are free. Most of the flights are good through Nov.13-14, but MSP to Colorado Springs is good through Sept. 30, and MSP to Jacksonville through Oct. 3. Don't want to fly to or from MSP? Check the website for other airports during the sale.